The most important part of connecting with prospects is the “human connection.” Humor connects people. Humor opens the heart. I’ve found that adding humor can break down barriers and create easier and deeper conversations. 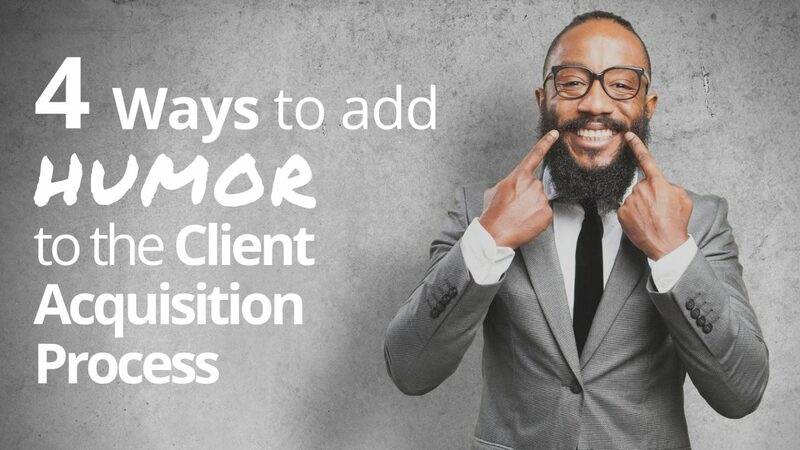 So, today, let’s discuss how to inject a little humor into the client acquisition process. Doug is a financial advisor in the Midwest. Doug says, “We’re just brainstorming here. First of all, do you know any lottery winners?” His clients laugh. Then he brings up a few, more serious, options. The more you learn about your new prospect, the more opportunities you have for discovering places to use humor. Many, many, many years ago, I sold printing services. I’d cold call a print buyer (back then, people actually answered their phones) and say, “I know you get a lot of calls from printing companies. I’m curious… am I the first or the tenth today?” They would laugh and give me some time for a meaningful conversation. Sometimes we have an interested prospect who stop responding to our efforts to keep the conversation going. Going for the “no” is a viable strategy to find out if you should keep pursuing this prospect or move on. I’ve had great success being playful in these situations. I’ll send a multiple choice email designed to create a smile and get a response – one way or the other. ___ I was marooned on a deserted island and was rescued three days ago. Please give me a few days to get back on the rhythm and reach out to me again. ___ I was rearranging my sock drawer and just couldn’t get it right. I’m back at work and very interested in speaking with you again. ___ You’ve been very professional in staying in touch with me. I just don’t think this is a match and don’t want you to waste your time. ___ I’m still very interested; sorry for my lack of response. Please send some time slots that work for you for our next call. If using humor in your communication with prospects and clients isn’t genuine for you, then you should probably shy away. On the other hand, adding humor can break down barriers and create easier and deeper conversations. You may already know that women control the majority of wealth in North America, totaling $20 trillion, and that it is estimated to surpass $40 trillion by 2020. What you may not know is that up to 98% of women change advisors (a nice way to say “fire their advisor”) when their spouse dies. Or, that there are five different types of women, and each type requires a different marketing approach. 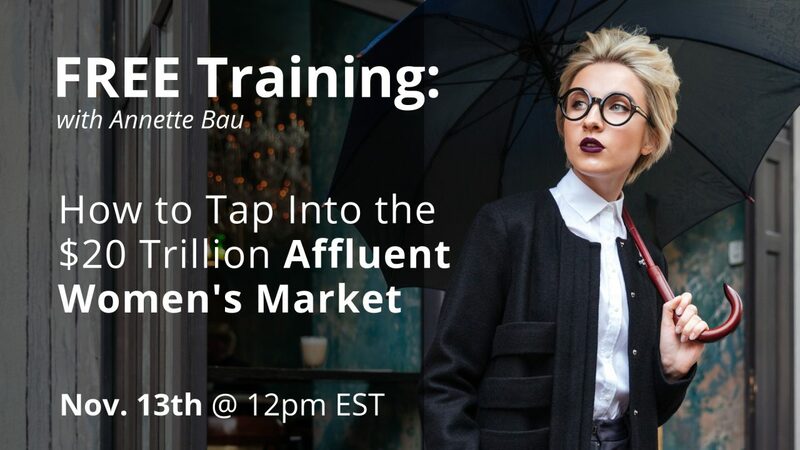 So I asked my friend and colleague, Annette Bau, a foremost expert on Affluent Women and the author of 101 Insider Secrets for Marketing to Affluent Women, How to get your share of this $20 trillion market, if she would provide you the inside scoop on what you need to know and do to get your share of this market … And she agreed! Click here to register. Date & Time: Tuesday November 13th, 2018 @ 12:00 PM (noon) EST (11PM CST, 10 AM MST, 9 AM PST). This entry was posted in Get More Clients and tagged client acquisition, humor.